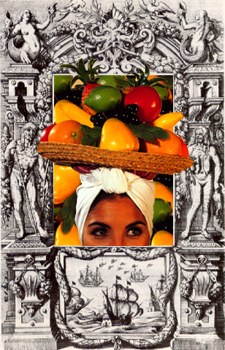 Carmen Made Me So is a website with a critical approach to the image of Carmen Miranda. 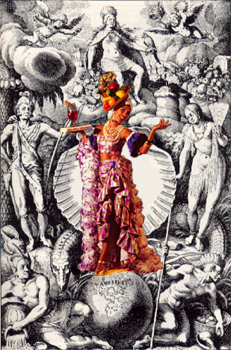 Divided into three segments, the first one is a critique to the usage of Carmen Miranda as an idealization of Latin America; the second part is a critique to the exotic point of views of latin beauty, and the third part is a post-colonialist discourse on the identity conflict the Latinamerican culture suffers (this section requires the shockwave plug-in, it contains shockwaave animations developed in 1996). This project is a pioneering project in Net Art, featured in several international shows as well as a one of the first Shockwaved sites in Macromedia's website. Carmen Made Me So participated in the New Talent Pavillion at MILIA 1998, the most important International New Media Festival in the 90's in Cannes, France, as the sole project representing the USA.